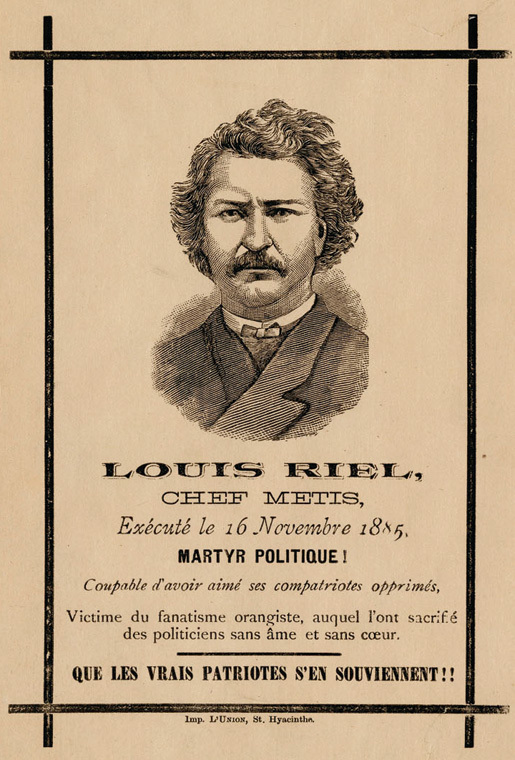 Louis Riel is found guilty of treason, and later hanged. His Majesty’s Canadian Ship Athabaskan (2nd) sails for her second tour of duty in Korean waters. Sailors from Her Majesty’s Canadian Ship Athabaskan (3rd) board (via helicopter) the GTS Katie. 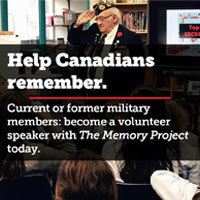 Their mission: to compel delivery of Canadian military equipment destined from Kosovo to Quebec. The ship had refused to dock over a payment dispute. 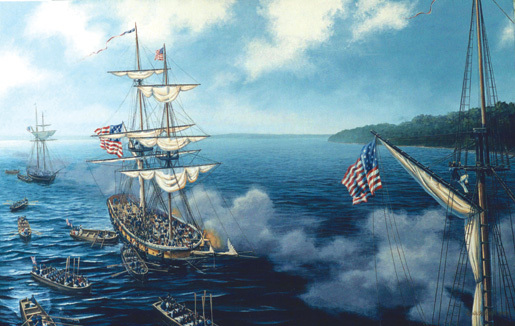 United States Lieutenant-Colonel George Croghan’s troops are repulsed during an attack on the British at Fort Makinac in Michigan Territory. 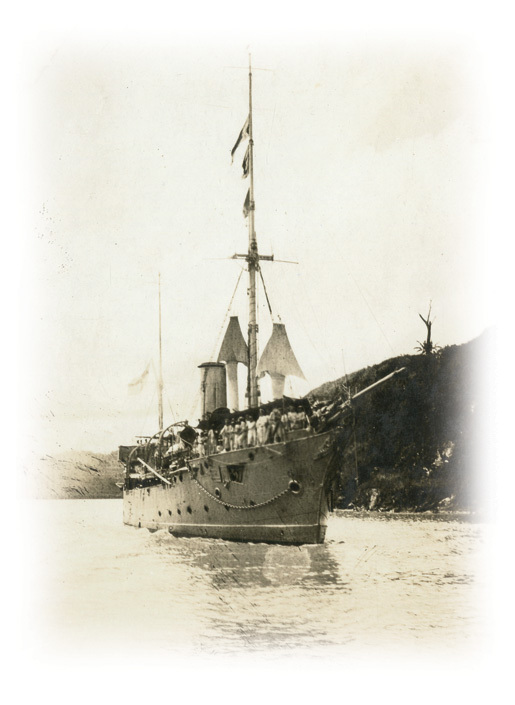 His Majesty’s Canadian Ship Assiniboine, commanded by J.H. Stubbs, rams and sinks U-210 in the Atlantic. First Canadian Division participates in the largest peacetime training exercise to date, Exercise Rising Star at Camp Gagetown, N.B. The Canadian Corps is assigned to spearhead an attack near Amiens, France. It is the start of what will become known as The Hundred Days of victories and advances. National Peacekeepers’ Day is officially designated to honour Canadians who serve or have served on peacekeeping missions around the world. The British airship R-100, which had completed a transatlantic flight, leaves Montreal bound for Ottawa and southern Ontario. Fishermen rescue 155 Tamil Sri Lankan refugees adrift in lifeboats after being dropped by human smugglers off the Newfoundland coast. His Majesty’s Canadian Ship Shearwater and submarines CC-1 and CC-2 are the first Canadian warships to pass through the Panama Canal. The first five Canadian-made Mosquito fighter/bombers arrive in England. 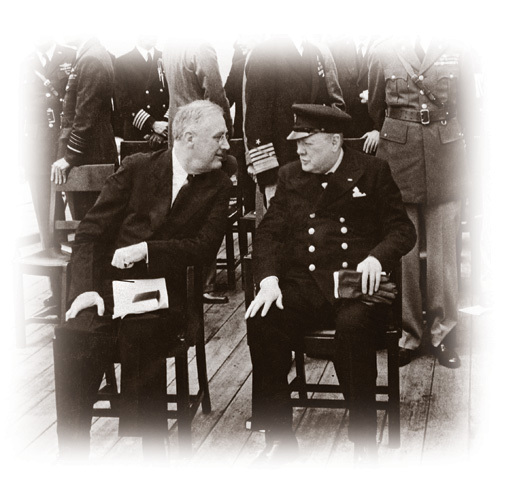 President Roosevelt (seated left) and Prime Minister Churchill on deck of HMS Prince of Wales. Following a meeting between British Prime Minister Winston Churchill and United States President Franklin D. Roosevelt in Newfoundland, details of the Atlantic Charter are released. 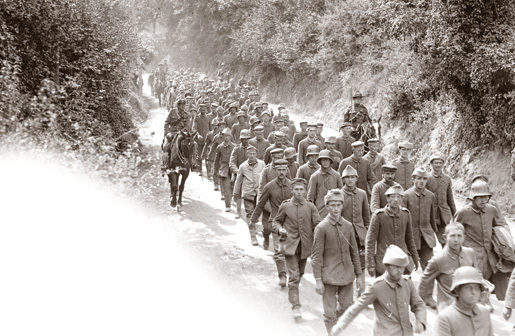 German prisoners captured by Canadians on Hill 70. Several Canadian battalions attack and capture Hill 70, a strategic position overlooking Lens, France. Intent on rousting the Japanese, a joint Canadian/American task force lands at Kiska Island in the Aleutians, but their quarry has already left. 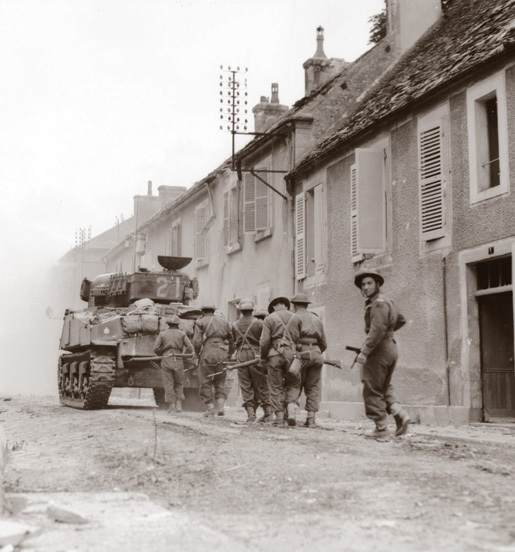 Troops of Les Fusiliers Mont-Royal supported by Sherman tank of the Sherbrooke Fusiliers. Canadians capture the town of Falaise, France. 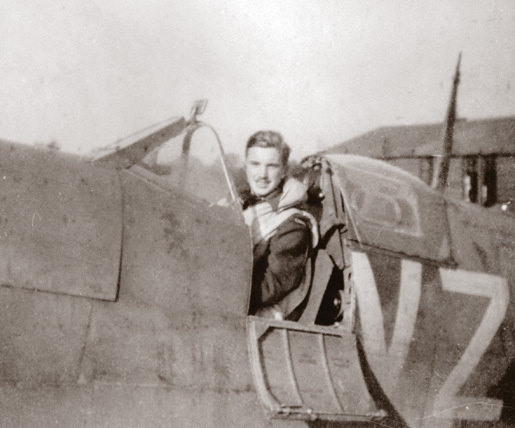 Royal Canadian Air Force pilot John Gillespie Magee, 19, slips the surly bonds of earth to touch the face of God in his sonnet High Flight, the official poem of the RCAF and Royal Air Force. Lieutenant-Colonel Charles Merritt and honorary Captain John Foote earn the Victoria Cross during the Dieppe raid, which quickly turned into a disaster. West of Brest, France, His Majesty’s Canadian ships Kootenay, Chaudière and Ottawa sink U-984. The Canadian corvette Alberni is destroyed by a German U-boat in the English Channel. Three officers and 28 men are rescued; 59 perish. A suicide bomber crashes into a Canadian military patrol in southern Afghanistan, wounding three and killing a young girl and Corporal David Braun of Canadian Forces Base Shilo, Man. Anxious for action, some soldiers boo Prime Minister Mackenzie King in Aldershot, England, where he speaks to 10,000 Canadian troops who are anxious to fight the enemy. 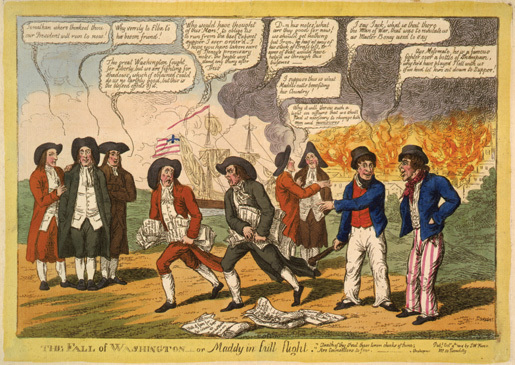 British troops sack Washington, D.C., and burn public buildings. The North-West Mounted Police establish Fort Brisebois at the confluence of the Bow and Elbow rivers in Alberta. It is renamed Fort Calgary the following year. Royal Canadian Air Force No. 1 Fighter Squadron is the first RCAF unit to engage enemy aircraft. Canadian forces in Italy continue their advance to the Gothic Line. Within a few days they will break through the line south of Rimini. Punch Dickins begins a 12-day, 6,400-kilometre pioneering flight in a float-equipped Fokker airplane over northern Canada. Canada receives news its naval service becomes The “Royal” Canadian Navy, by decree of King George V.
Navy Sub-Lieutenant William K.L. Lore orders Japanese guards at Sham Shui Po PoW camp to unlock the gates, beginning the liberation of Canadians captured during the Battle of Hong Kong in December 1941. The Women’s Royal Canadian Naval Service passes into history. Established in July 1942, 5,893 women were serving in the Wrens by 1946. For ‘ON THIS DATE’ September events, come back to legionmagazine.com on September 1st, 2013.